For 2017, Liv is launching two new carbon bikes and a more affordable alloy model. 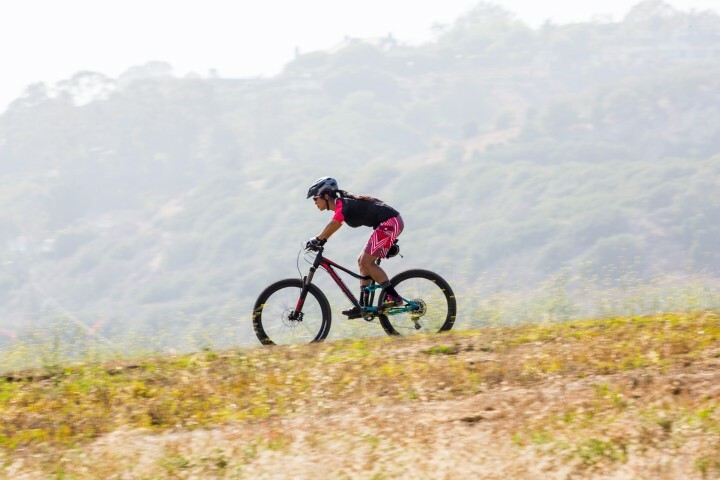 Women’s specific products have begun to generate an increasing amount of attention in the cycling industry, as sales of traditional models have leveled off. As brands have ramped up women’s offerings, we’ve seen wildly different approaches. Some companies simply rebrand products then added women’s specific touches. Others offer a wider range of frame sizes, while some have created entirely new products. LIV relies on a global database to provide average body dimensions for which they design bikes around. One manufacturer who has followed the latter approach is Liv. The sister brand of Giant benefits from an impressive patent portfolio, but designs are all unique. When they first introduced their off-road line, the models focused mostly on the entry and mid-level market. But that’s changed for 2017. 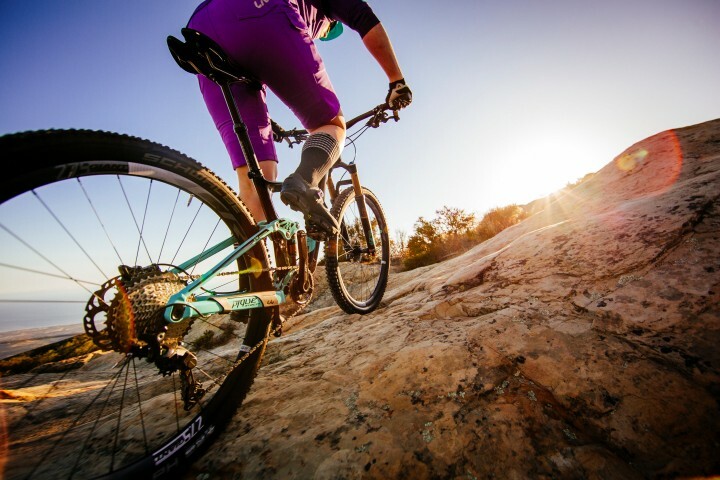 A number of women’s brands offer 150mm travel bikes, but Liv is the first to answer the call for a 160mm travel EWS worthy race bike. 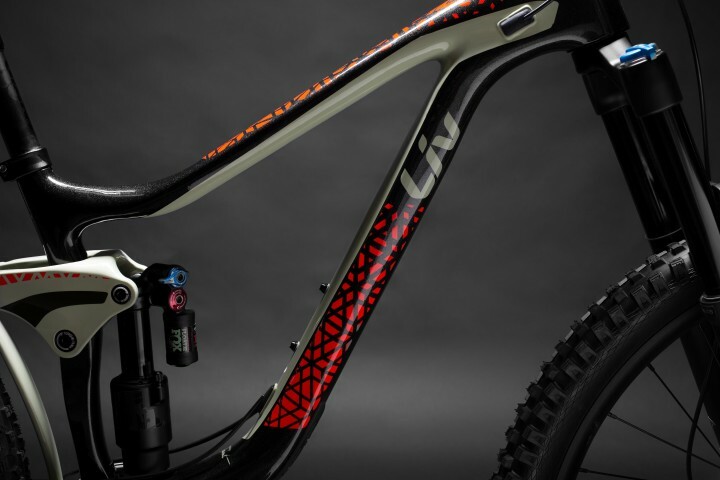 For this upcoming model year, Liv is offering their complete performance line in carbon. Each of these models uses a women’s specific composite layup that has been fine-tuned to provide better handling characteristics for women. Compared to the comparable Giant models, the Liv bikes are lighter and more compliant, Liv says. 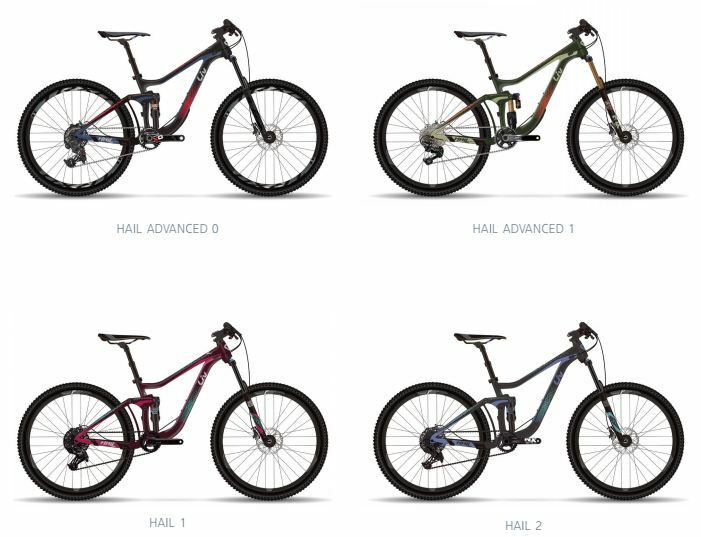 The 160mm travel Hail will be available in four different build kits, including one with a Fox X2 air shock. 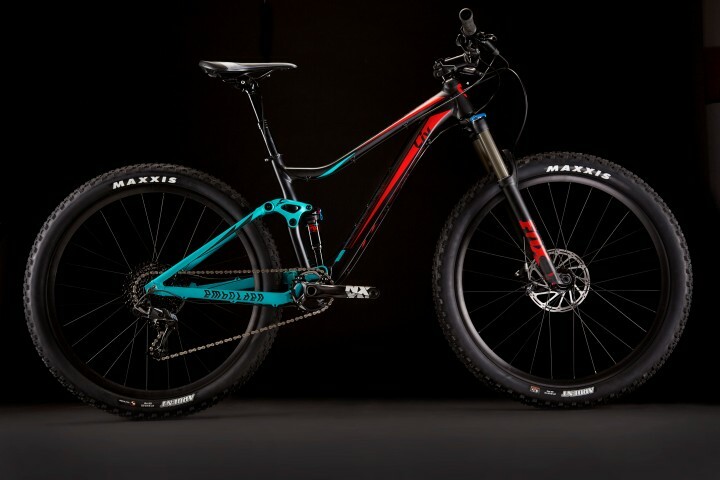 The first new models to take advantage of this technology are the Hail and Pique, both of which utilize 27.5” wheels and Giant’s new carbon rocker link. 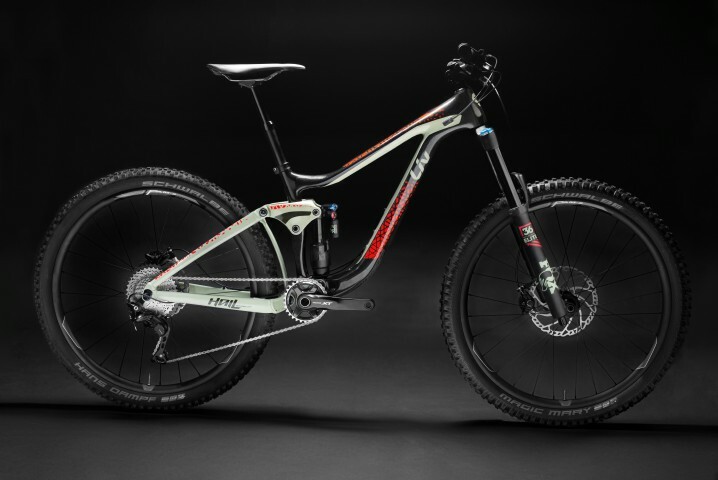 The Hail is the first women’s specific 160mm travel enduro race bike. We haven’t received full details yet, but we know Liv hasn’t skimped on spec. Complete bikes will ship with 800mm wide bars, 180mm rotors, and aggressive tires. The Pique is an 120mm travel frame designed to blur the lines between XC and trail. Also new for 2017 is the Pique. Again, we don’t have much in the way of details, but we know there will be six different models. 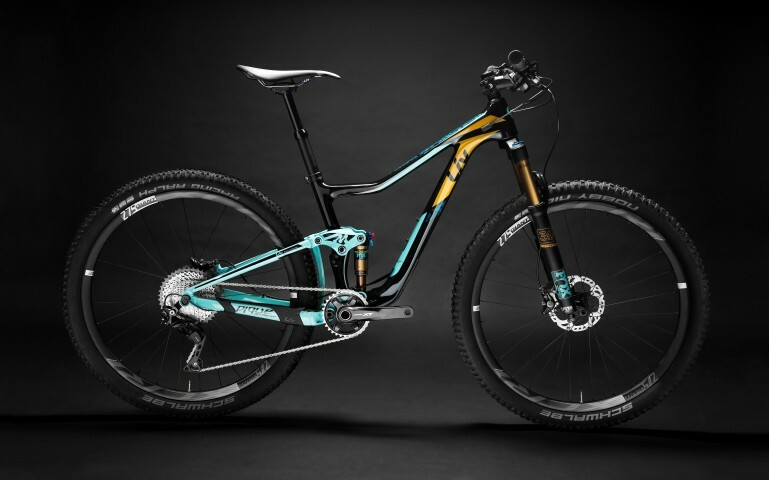 Their premium version will feature a RockShox RS-1 inverted fork, SRAM’s new XX1 Eagle 1×12 drivetrain, and SRAM Rise wheels. A SX version will also be available, which bumps the fork travel up to 140mm and swaps in some burlier components. The Embolden relies on flex built into the rear stays, rather than using a rear pivot. This helps decrease weight, reduces maintenance, and keeps cost lower. In addition to the new carbon models, Liv is also launching another alloy bike called the Embolden. This frame is similar to the Pique in that it’s an XC/trail bike with 120mm of travel, but it uses Giant’s FlexPoint Suspension System to help keep costs down. For 2017, Liv is launching two new carbon bikes and a more affordable alloy fully. 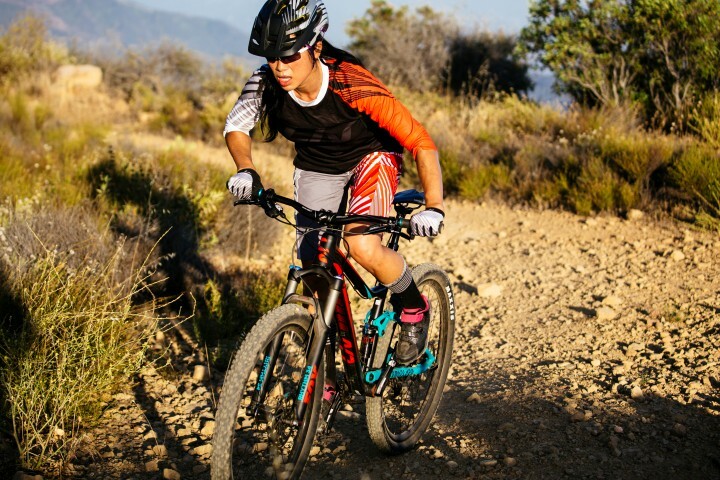 The Pique is a 120mm travel frame designed to blur the lines between XC and trail. The 160mm travel Hail will be available in four different build kits, including one with a Fox X2 air shock!